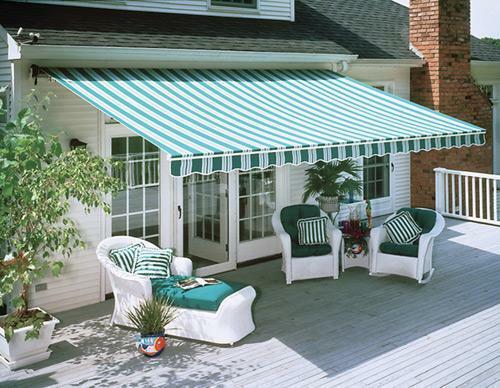 We are the leading supplier of different type of Awnings for home. We have various sizes and qualities and various fabric. Being an ISO 9001:2008 certified company, we are engaged in manufacturing, supplying and export of a diverse range of Tents and Decoration Utilities. Our range includes Resort Tent, Traditional Tent, Dining Tent, Camping Tent and Sleeping Bag, Display Tent, Exhibition Tent and Relief Tent. We also offer Army Tent, Garden Tents, Fixed Roof Tents and PVC Fabric Tents. These are manufactured using best grade fabrics, which are sourced from certified vendors in the market. Our range varies from requirement of relief agencies for refugee crisis to need of army resorts, camping, mountaineering and multi national companies. These are widely used for applications ranging from small concession stands to international events. Our organization is managed by a team of highly experienced professionals who are well versed in the industry and help us to offer quality products to our clients. Furthermore, we have developed a wide supply chain network across the globe to successfully meet the urgent requirement of our clients within a given timeline.